Select Version of Microsoft ActiveSync to Download for FREE! ActiveSync is a synchronization program developed by Microsoft. It allows a mobile device to be synchronised with either a desktop PC, or a server running Microsoft Exchange Server or Kerio MailServer. Only Personal information manager (PIM) data (Email/Calendar/Contacts) may be synchronised with the Exchange Server. (Tasks may also be synchronised with Exchange Server on Windows Mobile 5.0 devices.) 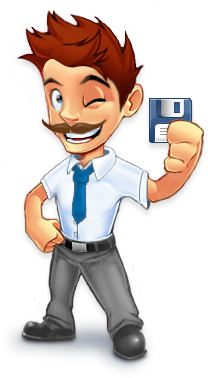 The PC synchronisation option, however, allows PIM synchronisation with Microsoft Outlook, along with Internet "favourites", files, and tasks, amongst other data types. Supported mobile devices include PDAs or Smartphones running Windows Mobile, or the Windows CE operating system, along with devices that don't use a Microsoft operating system, such as the Symbian platform. ActiveSync also provides for the manual transfer of files to a mobile device, along with limited backup/restore functionality, and the ability to install and uninstall mobile device applications. Alternative software that mobile devices to synchronise non-Microsoft PIMs with a PC is also available; such as FinchSync for Thunderbird, or Intellisync. Starting with Windows Vista, the next major release of the Windows Operating System, ActiveSync will be replaced with the Windows Mobile Device Center.